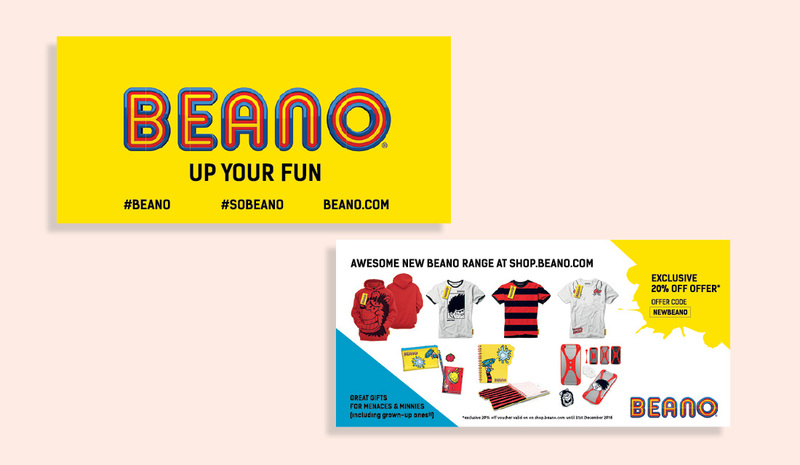 Beano Studios is a new creative company that’s here to deliver multi-platform entertainment for kids; including new film and TV programmes, digital platforms, live theatrical experiences, consumer products and the much-loved comic and annual. 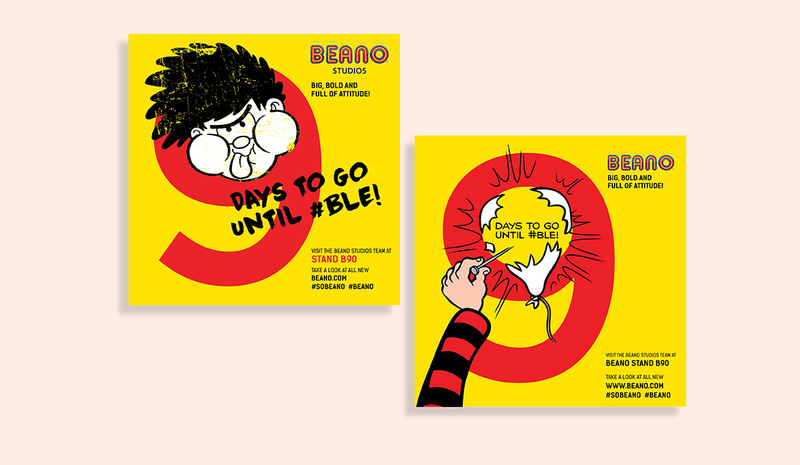 At its heart, Beano Studios are building a digital network designed specifically for 7-10s – a safe, trusted world full of cheekiness and energy where kids can be themselves, have fun and live in the moment. 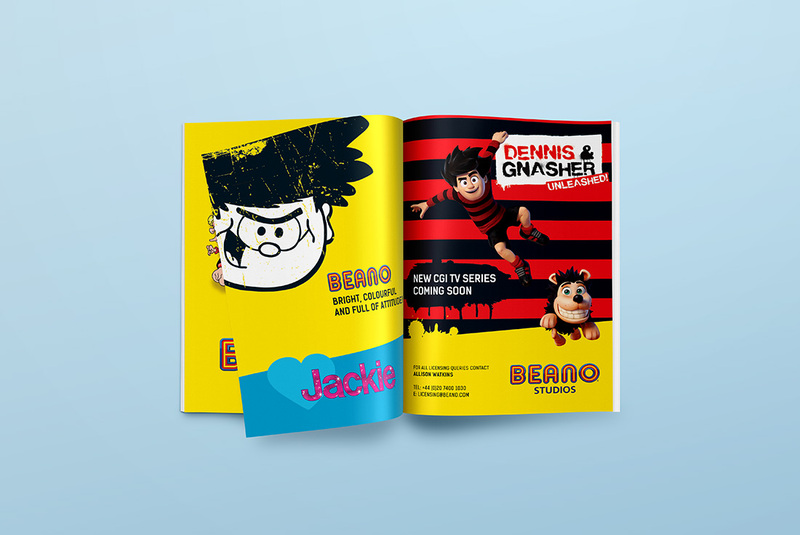 Beano Studios launched its new brand in October 2016, in the runup to the relaunch we worked closely with the marketing and consumer team to design and artwork a number of trade ads. 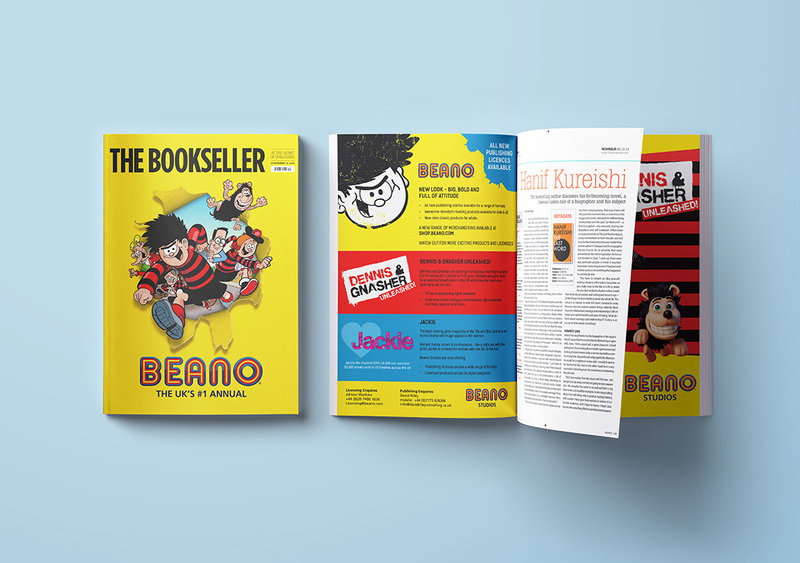 Ads included a front and inside cover for the Bookseller, Toyworld and the British Licensing Sourcebook and Exhibition book. 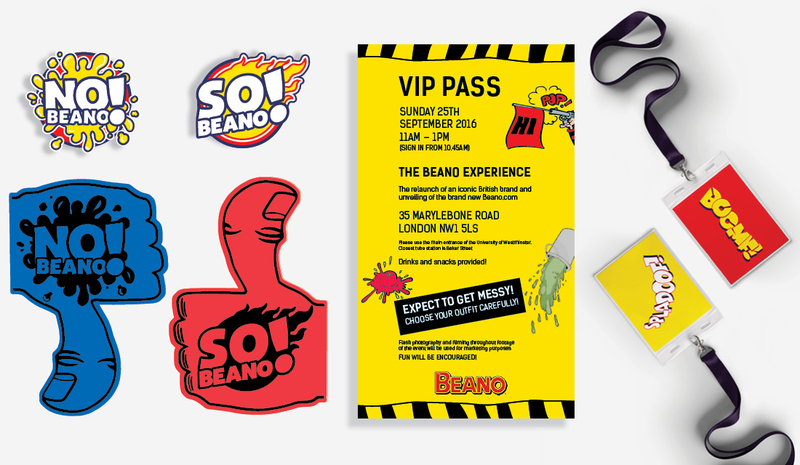 For the launch party we designed and managed the production of a number of props for the event including So/No Beano foam hands, stickers, flyers, lanyards and the VIP invite to the event.